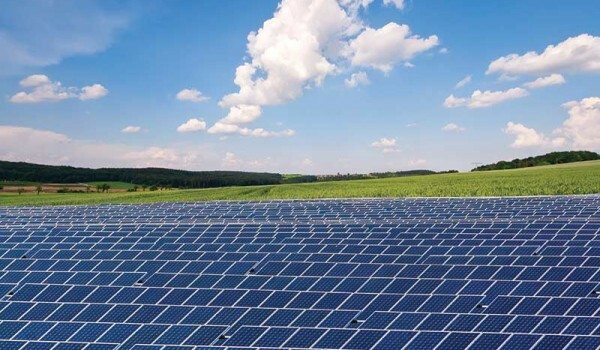 PS Renewables are excited and proud to be building Eveley Solar Farm in Houghton, Hampshire and are energised by the future of solar and confident they are now able to build large scale solar farms without the need for any subsidy, meaning, for them, the UK has hit grid parity. PS Renewables are in final talks with a number of international energy off-takers where the energy produced will be sold, and are looking to complete Power Purchase Agreements (PPA) for some of their current and future projects, including Eveley Solar Farm. Matt Hazell, the Commercial Sales Director said; “What’s exciting is that we no longer have intense deadlines. A number of our approved and large development projects, including Eveley Solar Farm can now be built at any time in the future, allowing us to accommodate requests or factors which sometimes delay projects, such as planting seasons, winter working hours or last minute community requirements, needing to be implemented before construction starts"
“This is not just important for us, it’s likely to be very important for the whole of the UK solar sector, as we’re now not reliant on hitting very tight timelines and critical milestones in order to be eligible for FIT or ROC’s. Due to our steady reductions in panel prices, lower cost inverters, mounts, cable and project rights, we can look to build utility scale solar under a straight PPA arrangement. Now utility solar projects can push forward if they have the planning approved, grid allocated, enough scale and an EPC with the build experience like PS Renewables have". For PS Renewables, this grid parity milestone means it, and the wider industry can breathe and take both existing and future projects forward with a calm head, meaning the UK gets well designed and constructed solar farms that will provide much needed renewable energy for the foreseeable future. The Eveley Solar Farm planning permission was approved by Test Valley Borough Council on 27th July 2015. This project is now fully owned by PS Renewables and they have already enhanced the public roads coming into the site, and submitted the request to release all pre-construction planning conditions. These are due to be released in the coming days which would permit full construction to start at any time. A farm of this size would take around 5 months to build, and once connected, Eveley Solar Farm will power circa 12,000+ homes with clean energy, whilst also enabling the land to be used for sheep production and grazing.